SZ said it decided to analyze the data in cooperation with the International Consortium of Investigative Journalists (ICIJ). The data in the so-called Panama Papers, “provides rare insights into a world that can only exist in the shadows. It proves how a global industry led by major banks, legal firms, and asset management companies secretly manages the estates of the world’s rich and famous: from politicians, FIFA officials, fraudsters and drug smugglers, to celebrities and professional athletes,” the German newspaper wrote. “The Panama Papers include approximately 11.5 million documents – more than the combined total of the Wikileaks Cablegate, Offshore Leaks, Lux Leaks, and Swiss Leaks,” SZ said. The data is presented in the form of e-mails, pdf files, photo files, and excerpts from the Panaman firm’s database. As this article in the Financial Timesshows, the wheels are coming off Ukraine’s economy, with the IMF now admitting it needs a further $15 billion on top of the money already given within weeks to avoid total collapse. This has come after news the Ukrainian Central Bank’s foreign exchange reserves have fallen below $10 billion. Ukraine must pay a further $1.6 billion from these reserves before year end to fulfil its part of the gas deal the EU brokered between Ukraine and Russia on 30th October 2014. This will push the Central Bank’s foreign exchange reserves down to even more critical levels. Meanwhile Gazprom has said that despite Ukraine’s recent purchase of 1 billion cubic meters of gas from Russia, Ukraine’s total gas reserves are close to critical levels, endangering transit of Russian gas to Europe. The article however exposes something else, which is perhaps even more important. In other words in order to “save” Ukraine (and their own political reputations) the European leadership is now being forced to turn to Russia for help – the same country they accuse of invading and destabilising Ukraine and which they have sanctioned. As we previously reported, another article in the Financial Times has confirmed what many have suspected – the western powers have been looking for excuses for Ukraine to renege on its debts to Russia whilst pretending it is not a default. To their intense frustration the western powers have discovered that the Russians were extremely careful to make their loans to Ukraine totally full-proof. The option of reneging on the loans does not therefore exist. 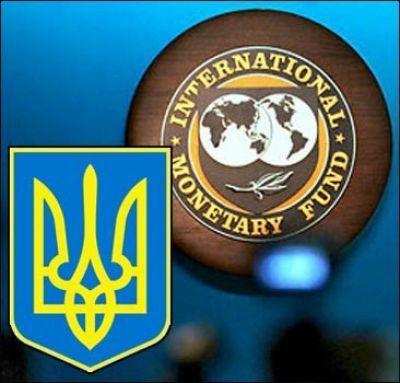 Transfers of yet more money to Ukraine from the West are now becoming so large and so open-ended that the point is probably soon coming (if it has not already come) when more transfers including the $15 billion the IMF is talking about would have to be authorised by national parliaments before they could legally happen. At a time of economic austerity that might be very difficult to pull off, especially once it got known that most or even all the money would ultimately end up in Russia. At the very least it might lead to Western governments being asked serious questions in their parliaments about the policy in Ukraine they have been following – questions the governments might not want to answer or to have asked. The result is that Western governments are turning to Russia for help since, as has been obvious from the start, it is only with Russia’s help that Ukraine can be stabilised politically and economically. At the same time, as Merkel’s most recent comments show, they don’t want to make any concessions to Russia over Ukraine or modify their policy there. This is the delusion the West’s Ukrainian policy has suffered from ever since talks about Ukraine’s association agreement with the EU first got started. The West wants Ukraine to follow a pro-West pro-EU anti-Russia line. At the same time they want and expect Russia to pay the bills. They are then baffled and angry when Russia says no. Though Russia goes on saying no, they refuse to take no for an answer. Instead they threaten and pass more sanctions and vilify and abuse Russia’s leadership in what is looking like an increasingly desperate hope that this will force Russia to back down and change its policy.